Bring all the colors of Autumn to your table for any Fall feast. 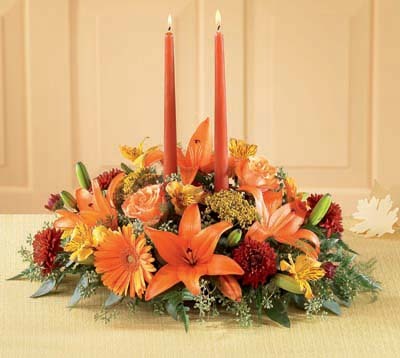 Orange Asiatic lilies, and roses are beautifully complemented by burgundy pompons and seeded eucalyptus. Two taper candles are included for a warm ambience.